I knew the first thing I had to do when I got into the office today was go to the Sage Summit website. Sure enough, the home page had changed from “It’s coming!” to “Register now!” And from the looks of it, the Big Easy is going to be a big deal for Sage and all attendees. 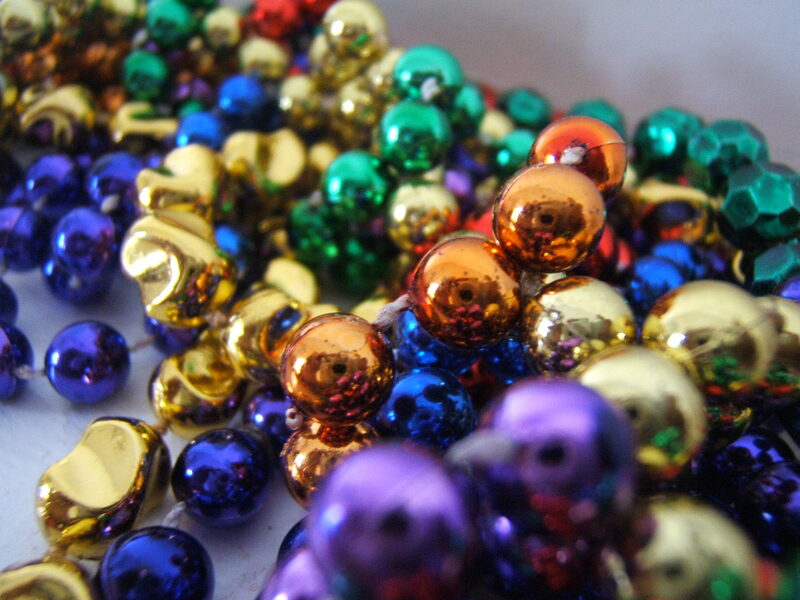 As they announced last week, Sage Summit 2015 (New Orleans, July 27-30) registration begins today. And this year, Sage is offering two full months of Early Bird registration with $500 off the regular admission for the week! (That’s $299 instead of a whopping $799. And, it’s for customers only. Sorry fellow partners!) Of course, then there’s those of you who signed up directly after Sage Summit 2014. That special was for $99 registration if you sign up a second person. You should be receiving your discount code via e-mail. First of all, I have to take back something I said last week. I mentioned that Sage usually doesn’t have the session agenda published when registration opens. Sure enough, they surprised me with the catalog first draft! And even more impressive is that it’s not hidden behind the registration wall. (This is perfect for people who need to discuss ROI with executives who may be curious about Sage Summit.) On the drop-down menu at the top of the Sage Summit home page, go to Schedule > Training Schedule, and click on View Training Catalog. This year, the Sage Summit 2015 registration will help recommend sessions based on your profile and your industry focus. The concept for this change came about because the folks at Sage found that people would jump into the catalog of 300 or 400 sessions, and it was hard to figure out what their day should look like. 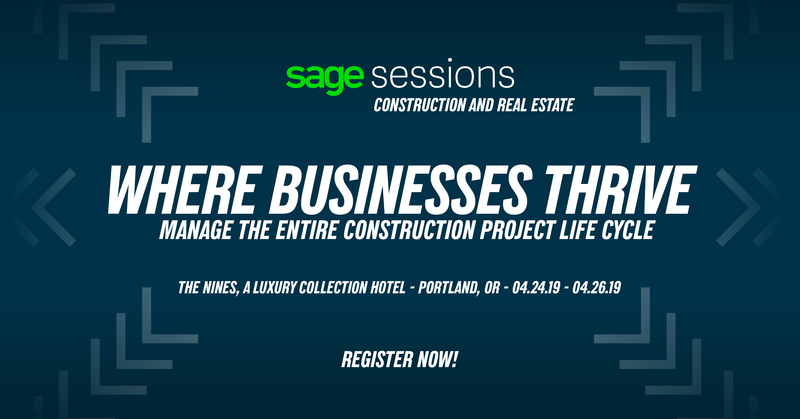 Once again, Sage is breaking ground in the events industry. According to Danielle, this is a first-of-its-kind catalog program, and they were initially told it couldn’t be done. Danielle also said that this is only the product-specific catalog so far. They’re still working on finalizing the product-neutral, industry and business sessions. Also, the session recommendation tool will only be available once you register and sign in to select your sessions. 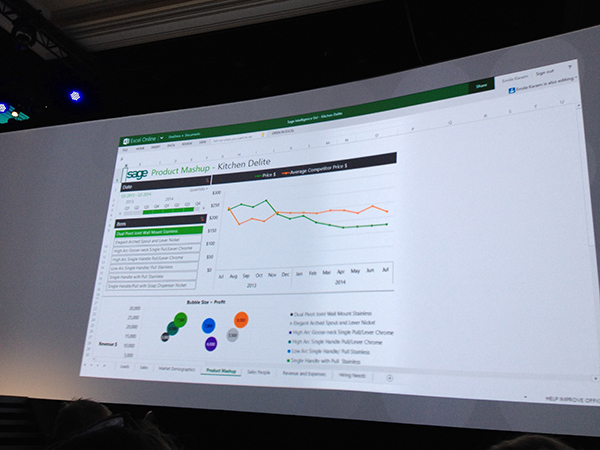 What does the agenda look like for Sage Summit 2015? Like last year, Sage will open each morning with a lecture session, starting with the keynote address Tuesday morning. On Wednesday and Thursday mornings, there will be a featured speaker session, like the ones last year with Magic Johnson and Biz Stone. New this year will be two partner-only presentations each day: Insights (a nod to the original partner conference) and Perspectives. Sage Summit will once again end with a closing celebration on Thursday night. Last year, the Neon Trees were the stars of the show. Can’t wait to see who will be appearing this year! The other evenings will end fairly early as well, giving more time for networking, sightseeing, or taking a break from the hustle and bustle. Is there anything else I need to know about Sage Summit 2015? Make sure that you book your hotel room(s) through the Sage Summit registration area in order to get the group discounts. Also under the registration area is a tab for airfare discounts. These haven’t been posted yet, but there’s a bit of information there, too. Don’t worry, that’s not all there is to know about Sage Summit. Danielle told me a few tidbits that will be released soon, and there will be much more to talk about in the months ahead. Keep tuning in to find out more! Amanda.. Just went thru the registration process, using my $99 special and all seemed to go smoothly. Only one confusing area was concerning the hotels. At first it appeared that I had to select my hotel now to finish the registration. Not sure which one I wanted, so luckily once I selected “don’t need hotel” I had the option to select later and keep going. Interesting with the profile selecting your training like you explained in your blog.. pretty cool. I did see the issue you mentioned about the filters not working quite right yet. Hey, it’s early!!! Looking forward to another great Summit session this year. Hi Jann! Glad to hear everything went pretty well. I’m really excited to see the suggestions the program gives me because I always have trouble picking out sessions and missing sessions I should have gone to. We’ll have to compare notes once we get a chance to play around in it.